This is a card I have made for CAS-ual Fridays, Here's the Rub Challenge. Such pretty rub ons! Love the faux stitching-the perfect touch :) Glad you had some fun with us at CAS-ual Fridays! What splendiferous rub-ons, makes mine look a bit sad! Beautiful card and lovely colours. 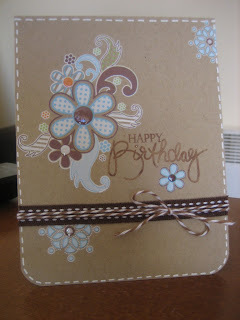 I would love to get a card like this for my birthday! The rub on is so fun and cute. Very lovely--the colors are wonderful! 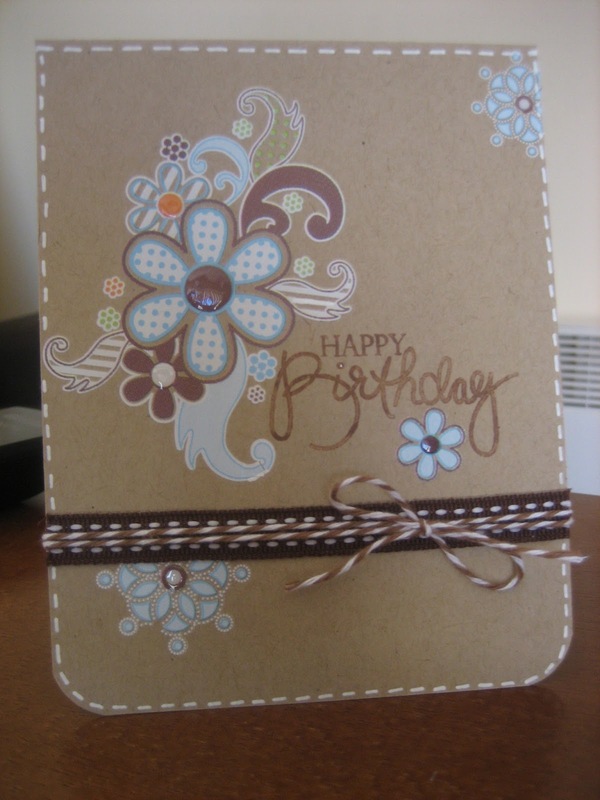 I love the use of kraft cardstock in lieu of white. Thanks for sharing! This is a very pretty card. Love the kraft. Love your card, and the colors. I really love this card , very pretty .